Have an event, club, team, sorority, fraternity, trip, party or just a bunch of people who need a cool T to represent? The Bearded Man abides. You can't be The Bearded Man, but you can wear The Bearded Man. 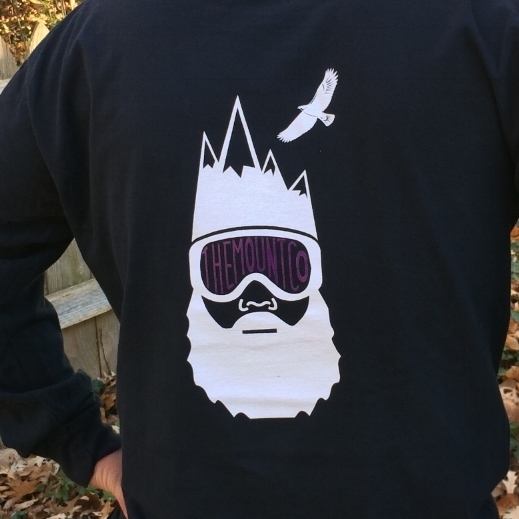 We've made it simple to collaborate with The Bearded Man to create a one of a kind design for your group or event. Contact us at Braden@TheMountCo.com - Tell us what you're planning and how you would like to work with The Bearded Man. Based on your input we will develop concepts for your review. Once you're happy and the design is approved, we will produce your custom Bearded Man T's and ship to your doorstep. TheMountCo uses Custom Color T's to provide a wide range of colors to choose from. You can order long sleeve or short - With a pocket or without. All T's are incredibly soft, pre-shrunk 100% ring spun cotton, to have an instant lived-in comfort and feel.
. Orders less than 50 T's (There is a minimum order of 12 T's) $25 per T, plus tax and shipping.
. Orders greater than 50 T's / $20 per T, plus tax and shipping.
. Please Note: Pricing is for one color - Add $30 per additional color.
. All orders are paid in full once design is approved.
. Turnaround time after approved design is approximately 2-3 weeks. Scroll down for a few samples of designs we've recently created for a variety of groups and events. The Bearded Man would love to work with you to make your next gig a Bearded success. Here you see The Bearded Man rocking a winter hat with the Spartan Ski Club emblem. (S)party on. 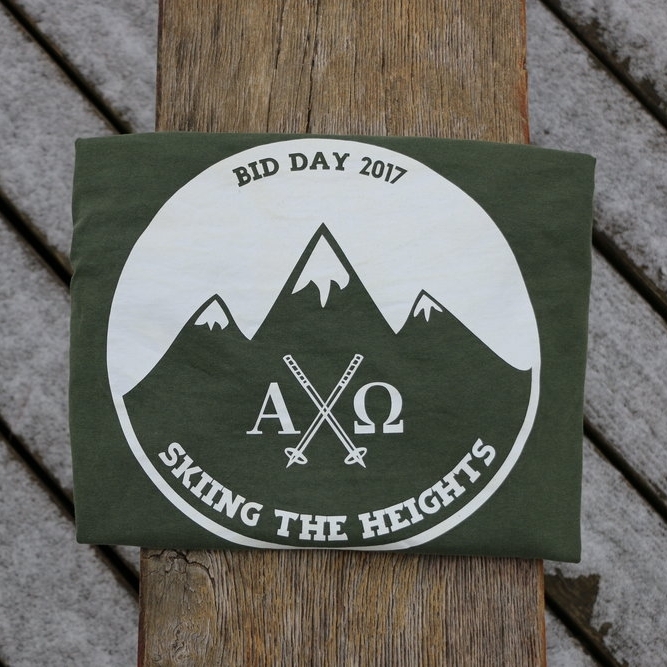 We designed AXO's 2017 spring rush bid day Ts ourselves. Then, we added The Bearded Man on the front pocket. If you can dream it, we can design it. The Bearded Man customized to the liking of the speedy MSU ski team. Rocking them on and off the hill. The Bloomfield Hills High School Ski Team got an exclusive design and added a Blackhawk to compliment their school mascot. 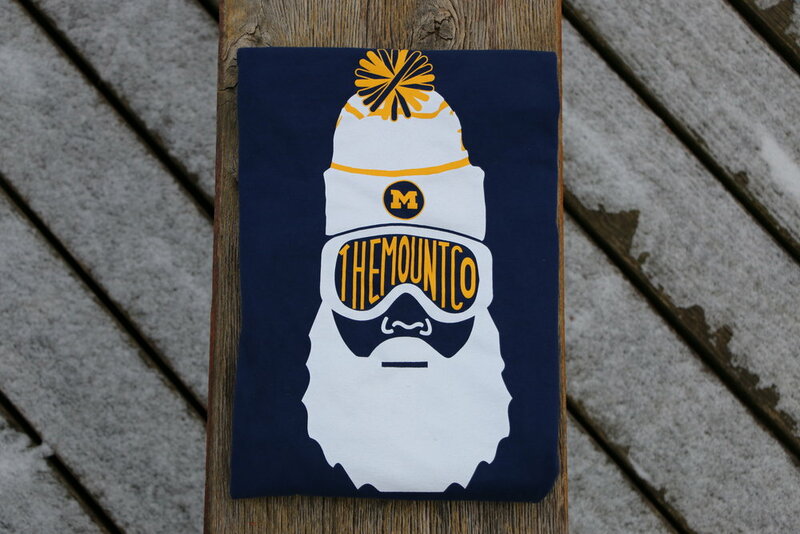 A variation of The Bearded Man with a winter hat made specially for the University of Michigan ski team. Here is The Bearded Man rockin' a bucket hats and a version of the MSU Wake Team logo.